After searching high and low, the exact matches of every celebrity on this list in animal form has been discovered. 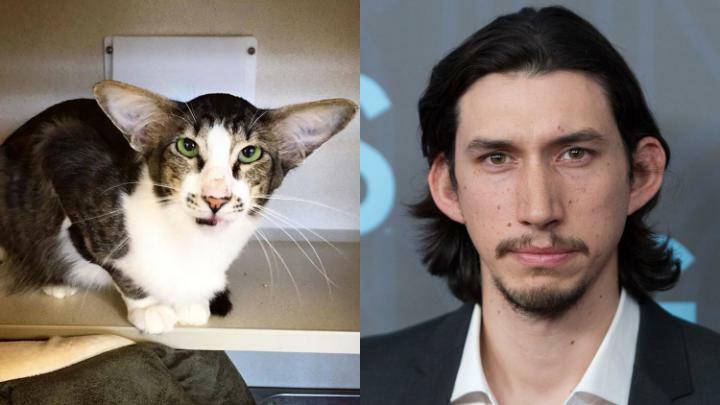 It is incredibly eery just how much some of these animals look like their celebrity counterparts. Prepare for some laughs and utter astonishment when you feast your eyes on these pairings. #11 is the absolute best. When Lady Gaga gets hot and sweaty during her performances, she turns into a wild-haired chihuahua. The force is strong with this little kitty. It was only a matter of time before someone found a dog that looked exactly like the big-jawed Ron Perlman. Trump’s hair is actually a descendent of this rare caterpillar. This is the perfect match from Samuel’s role in Django Unchained. Only the dog is slightly more sinister. Never has a dog looked so much like a human being. Finally someone found a real dog to match Snoop Dogg. These two look so much alike that it’s scary. It’s amazing really. This is just too perfect. Congratulations to whoever matched these two! Ford and the dog have that same signature smirk. It’s the ‘I don’t care’ look. When Peyton Manning gets sad, he sure does look like a disappointed puppy. The beret is genius! Who knew that Jamie looked so much like a cat? Before Stalin there was Lenin, and before Lenin there was cat. Everyone knows Miley looks like an animal when she sticks her tongue out. Now we finally know that animal is a giraffe.